Well friends another month has gone by and I figured I'd pop in to give another update on my weight loss journey. 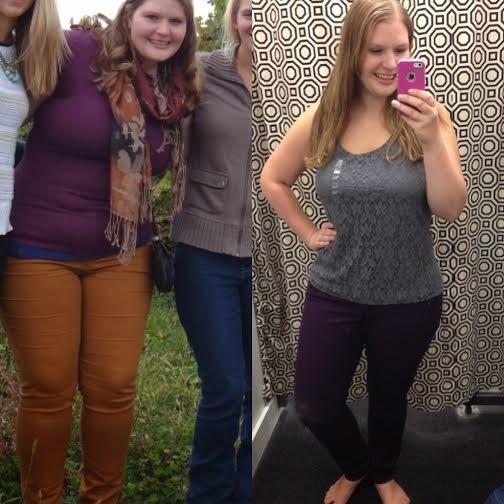 Last month I shared that I had FINALLY dropped beneath 200 pounds on the scale. That was such a huge deal for me! It has been a LONG time I've seen my weight with a "1" at the start!! I'm happy to report that I've dropped another 5 pounds since last month for a total of 52 pounds down. Yay!! I've been blogging about this journey from the start and I've shared with close friends and family, but I was always hesitant to post much about it on my own facebook page. I feel more comforable writing about this journey on my blog to essentially strangers than I do posting about it to my own real friends haha! 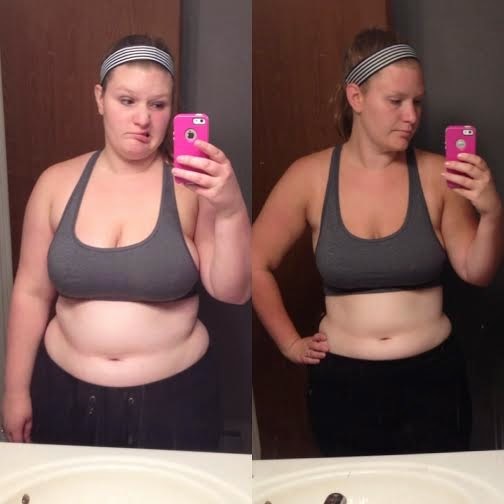 I posted about it for the first time right before hubby and I left for Jamaica in May and I hit 30 pounds down, and last week I finally posted an update on facebook showing these two photos and announcing that I had officially reached 50 pounds down. I felt like a million bucks that day. I had 127 people like that status! Hah! I'm wearing the same dress in the two pictures, some people didn't even realize that. 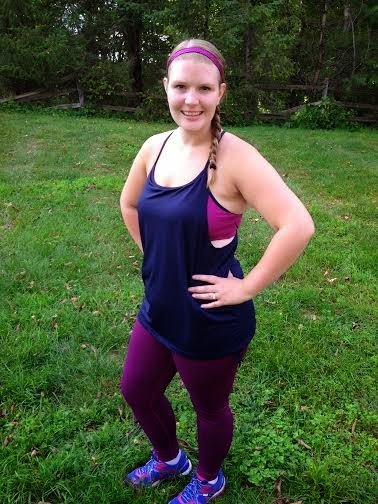 It lays completely different on me now that I'm over 50 pounds lighter! To celebrate passing the 50 pounds mark I went and did a little shopping over Labor Day weekend. 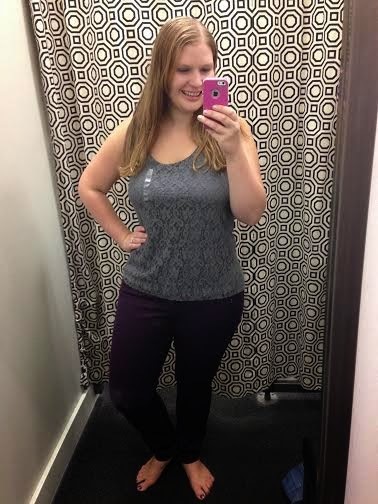 I tried on a pair of skinny jeans at the Loft and on a whim grabbed a pair in size 12. Can you believe they actually fit!!! Wow, you have been putting in a lot of work, and it is really paying off! Congrats! 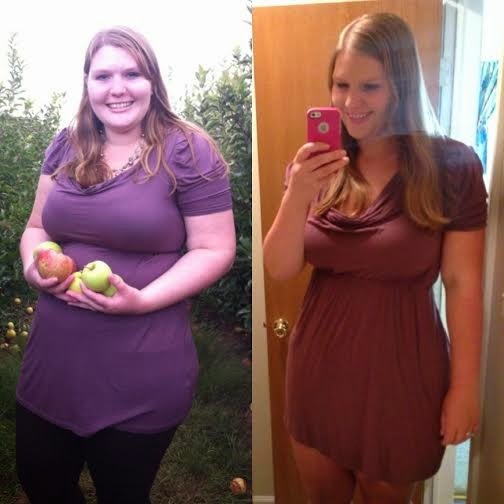 Congratulations on your weight loss journey! You look amazing! It's so rewarding to put in hard work and see the fruits of your labor! Congratulations!!! You look fabulous and so incredibly happy!!!!! You look fantastic, well done!! Good for you! You look amazing! Keep up the good work! Way to go! You look fantastic. Keep up the good work. You go girl! You look fabulous!